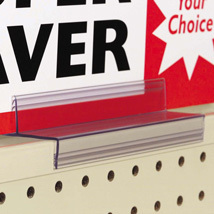 Capture customers attention in your store aisles! Sign fits on top of Gondola to get your products notice. Place signs on the top of a retail gondola without adhesive. Easy to relocate. 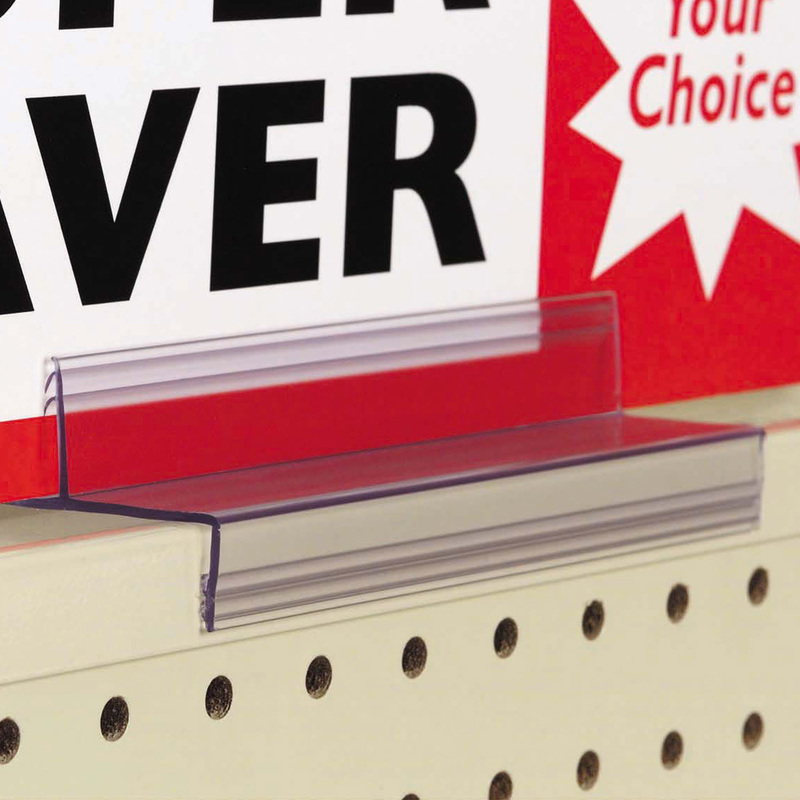 Holds signs from 3/16" to 1/4" thick.